We place German students in Secondary schools in County Cork. These students live with Irish host families and attend school with the children of the family. Programme length varies from only one term, to the entire school year. German exchange students attend a secondary school in County Cork. Students participate in all routine school activities, e.g. work experience if they are in Transition Year. While they are in Ireland, the students share all aspects of family life with their host family. The ASE HIGH SCHOOL PROGRAMME is an international programme which enables German secondary school students between the age of 14 and 17 to visit Ireland for one or two terms, or an entire school year. All the students have good English, a background in charity work, and a genuine interest in Ireland’s culture and people. 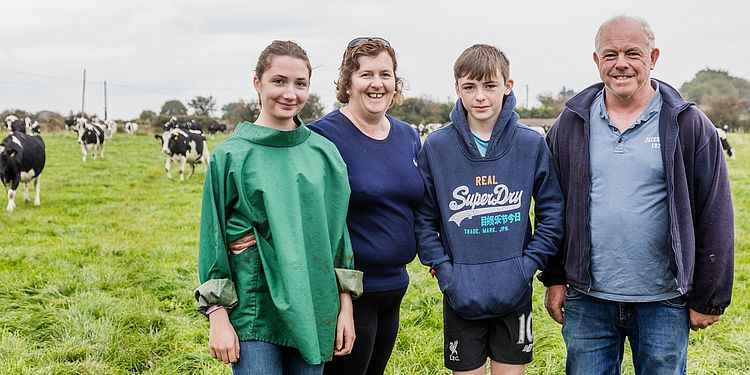 The student attends a school in County Cork and stays with a host family who ideally have children in the same school as the exchange student. It is a cultural exchange programme which means the student shares the host family’s life for the duration of his or her stay. A local bi-lingual programme supervisor makes sure the student will settle in well. The supervisor will enrol the student in the school, liaise with the year teacher, help the student to get their school uniform, their text books and school materials, as well as prepare the host family for the exchange programme. Throughout the student’s stay in Ireland, the supervisor will assist both, family and exchange student, with any questions they might have. The family gets a daily allowance for hosting the student which is paid out at the end of every month. The family has to provide room and board and allow the student to participate in their family life. The student will have their own health insurance. All other expenses – such as pocket money, school excursions, extracurricular activities – are borne by the student themselves. If you are interested in hosting a German exchange student contact us and we are happy to send you the High School Programme guidelines and requirements for becoming a host family.